In the military I am actively serving as a Command F-16 Instructor Pilot with the Texas Air National Guard as a Traditional (part-time) Guardsman. 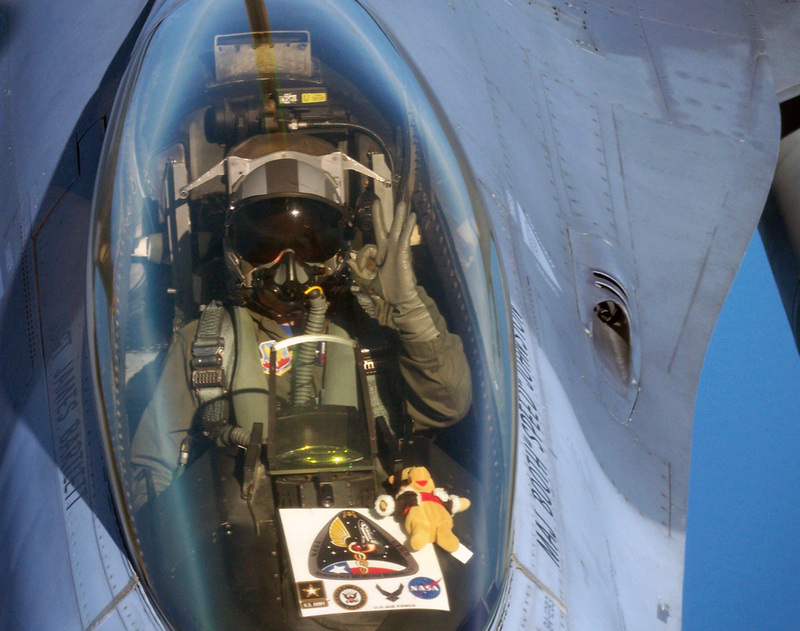 I train the world's best combat F-16 pilots. I maintain proficiency flying at least 5 sorties each month and adhere to the most stringent standards of professional aviation. I've been involved with General Aviation my whole life and have had a private pilot's license for over 20 years. I have an FAA commercial, multi-engine land rating and am a Certificated Flight Instructor - Instrument (CFII). I've been working full-time in the field of civilian medicine since receiving my M.D. from the University of Texas Medical Branch (UTMB) Galveston in 1999. I am residency trained in both Internal Medicine and Aerospace Medicine. I received world-class Aerospace Medical training with the National Aeronautics and Space Administration (NASA) at the Johnson Space Center and was supportive of both Shuttle and Soyuz launches. I have a Master's degree in Public Health from UTMB. In addition to being a military fighter pilot, I'm also a U.S. Air Force rated flight surgeon since 2004. Many of my military colleagues and friends are commercial airline pilots. They have for years been prompting me to seek designation as an AME because they know and trust me and my skills. My enthusiasm for the combination of aviation and medicine makes this an ideal opportunity. I know first hand what it is to be a pilot going for a medical exam. My intention is to devote my full-time work to being the premier AME in whom you can place your complete confidence. My passion for being your private physician centers around providing you customized, personal medical care that is tailored to your specific needs as an individual patient. My desire is to provide you and your loved ones the professional medical attention you deserve without the constraints of a managed care system for the masses mandating how much time or which services you may utilize.